Before reading this guide you might want to know that we have also written an article on finding the best first violin for you or your child if he or she is at the start of a musical career. For a violin to feel smooth you also need the sound of a warm violin string, so make sure to check our guide on the best strings too. 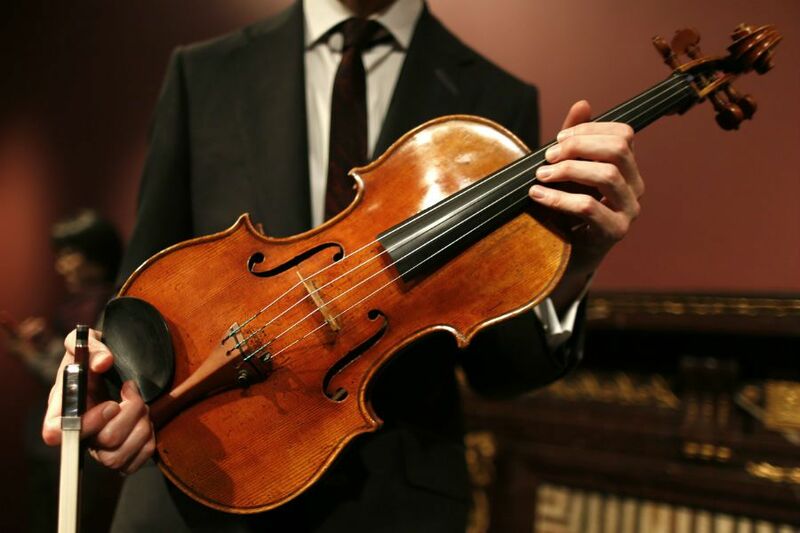 Experts can distinguish a Stradivarius from a copy by just looking at it for a couple of seconds. Of course, they have lots of years of experience and they know what to look for, so that is why it’s best to always consult them when you think you’ve found a Stradivarius violin. Nevertheless, here are some pointers to guide you when trying to identify a Strad. You can find lots of violins that have the writing “Antonius Stradivarius Cremonenfis” on their label, but a huge number of them are copies of the original instrument. Some of them even go as far as writing where they have been made, in Germany or Austria, for example. But Antonio Stradivari was a luthier that worked in Cremona, Italy. Even worse, some of these instruments are bad models that don’t get sold and the sellers stick a poorly-made label to them with the Strad inscription, in the hope of selling them faster. Fortunately, these poorly-made copies are easy to identify. 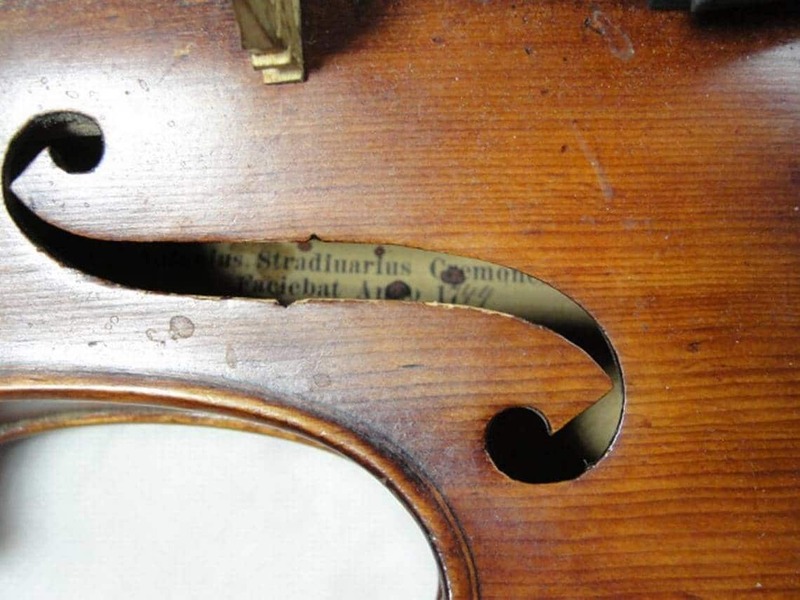 The other part of the inscription that appears on the label, “Faciebat Anno” means “made in the year” and it’s always followed by a single printed number, a 1, in the case of original violins. The rest of the numbers that form the year are handwritten. Toward the end of his life, Stradivari changed the label a bit and didn’t mention the year when the violin was made but he would mention his age. It’s important to also notice the font of the text, as original violins use an old Roman font. Any other font used is a sign that the violin is a copy. Also, Stradivari lived between 1644 and 1737, so labels that have an older date than that are fake. It’s good to know, however, that good copies of the instrument aren’t worthless and they can still mean good money. There are many theories that revolve around the idea that the wood used in Stradivarius violins and the uniqueness of this wood is what makes these instruments so great. That is why, with the help of dendrochronology, or the science of studying tree rings, experts can analyze instruments and determine their age, where the wood comes from and many other related details. Those that used this science to study the wood of violins concluded, surprisingly, that there are many Stradivarius violins made from the same tree. So if you get a violin and it matches the same characteristics, you are a lucky person. Western stringed instruments are usually made of spruce, and that is an easy-to-analyze type of wood. The unique patterns that appear in the wood rings are compared with those patterns found in the databases containing information about thousands of other violins. The result is a very precise one. Using dendrochronology, experts can also determine the age of each piece of wood that makes the violin. That is how they can find out if the instrument was made during Stradivari’s life or not. There are, however, other ways of analyzing the wood of a violin, but they all require the help of an expert. 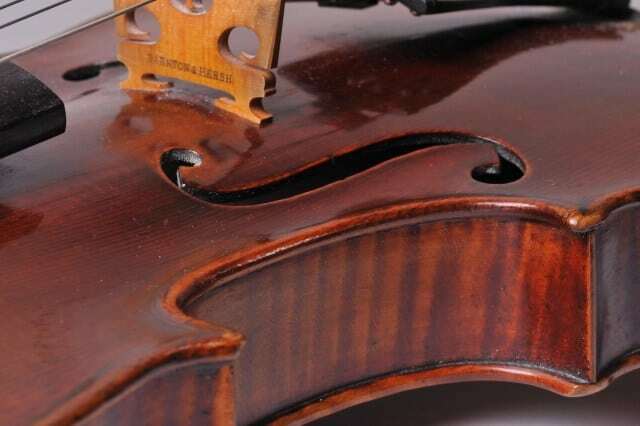 You can test the instrument using infrared and nuclear magnetic resonance spectroscopy, which is a complicated way of analyzing the chemical properties of the violin’s backboard. By comparing the results with chemical analyses from real Stradivarius violins, experts can tell if the instrument is real or not. The master luthiers of those times didn’t have the wood that is used today, so they had to rely on their craftsmanship to produce quality instruments. They also prepared the wood by artificial means and treated the backboards with copper, iron or chromium for a better sound. Unfortunately, you can’t find if your instrument had the same treatment, but an expert can. But before going to laboratories to test your instrument chemically or using advanced technology, you should listen to how it sounds. If you don’t know how to play it, find someone who does and ask them to help you with it. Professional players that have had the occasion to work with a Strad say that the instrument has a certain sweetness to its sound and the notes are deep. Despite this, it is difficult to explain what makes a Stradivarius violin sound so well. But what is known is that the sound produced should be a strong and pure one. Compared to other violins which don’t have a strong core and have too much surface noise, the Stradivarius sound is a rich and resonant one, no matter how high or low the frequency of the note played is. For those with an experienced ear, when comparing a Stradivarius side-by-side with another violin the differences in sound are clear. Another characteristic of Stradivarius violins is how responsive they are to touch. To analyze this aspect you need a player that has enough experience to know how to play the instrument faster, slower, or with more power. Minor changes in the positioning of your fingers or in the pressure of the bow will result in great differences in terms of sound. When playing the instrument, it should feel a bit fragile, but it will surprise you with the power that it can output. You should also look at the varnish and if it appears old enough, take a sample of it and have it analyzed. The results may surprise you. Many violins made in more recent times have a complex blend that is used as a varnish, but the Stradivarius violins are only covered in a simple coating made of oil and resin. So make sure your violin has the original varnish, the label is authentic and the wood dates back to the 1700s. You will need a lot of expertise to find out if you possess a real Stradivarius or not, but the effort is worth it.